A prime London (Shoreditch) wall space advertising opportunity available to global advertisers during the 2012 London Olympics on high-traffic Great Eastern Street, across from the renown Village Underground Art Center, surrounded by great clubs, pubs & restaurants and close to the Olympic Village. Clients include: Disney, 20th Century Fox, Paramount, Beck’s Beer & Namco’s, Soul Calibur V.
Today, The London Art Wall Group (http://www.londonartwalls.com) announced the availability of ‘The Shoreditch Art Wall’ (SAW), a large 4 panel high-profile wall space advertising opportunity in London’s fashionable East end, for art and commercial projects, during the 2012 London Olympics. This prime wall space is located on high-traffic Great Eastern Street, one of the main arteries coming into London, in Shoreditch, across from the internationally renown Village Underground Art Center. 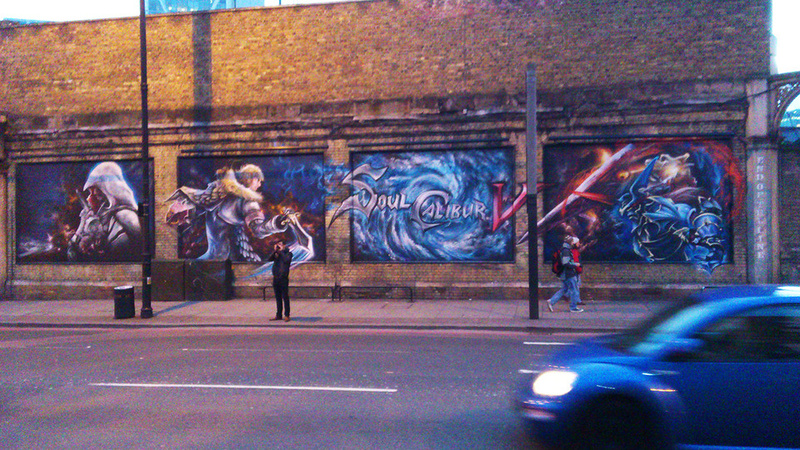 Just two miles from the Olympic Village, this wall is near an array of great clubs, pubs and restaurants. This major floodlit wall is on the side of a Victorian-era brick building and consists of four panels, each 8 feet tall by 10 feet wide, which can be painted individually, or hung with individual canvases from preinstalled hooks. The four panels can be rented by the day, week, or month; individually, or as a group and are available for rent all year long. 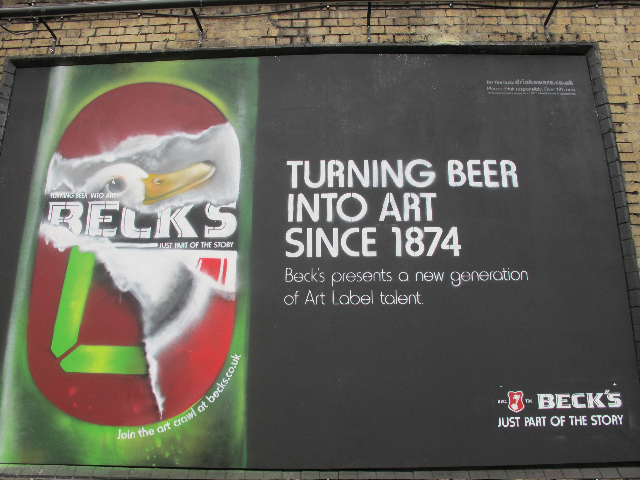 The London Art Wall Group has their own team of professional advertising designers and wall painters, or the advertiser can provide their own. Major advertisers on the Shoreditch Art Wall have included: Beck’s Beer, Walt Disney Company for ‘Tron Legacy;’ 20th Century Fox for ‘The Rise of the Planet of the Apes;’ Paramount Pictures for ‘Killing Bono;’ the launch of Namco’s new game, Soul Calibur V, in addition to, renown Graffiti artists, Roid and Horfe who have shown their work here. Urban walls have become a popular and lucrative venue for advertisers, because of their high-traffic proximity and key eye-level impact, which, because of their great visibility, conveys a more powerful message to locals and tourists. As London is expecting over one million tourists during the 2012 Olympic Games, this is a wonderful opportunity for global advertisers to get their message across, during one of the most media intense events of the decade. For more information please go to http://www.londonartwall.com.